Featuring a fully auto-leveling grade range of -15% to 40% with a ±10 horizontal arc-second accuracy, the Topcon TP-L5 Series Green Beam Pipe Laser is an effective construction laser for several outdoor applications such as trench and pipe alignment, trench excavation and the like. This LP-L5 series features the Topcon GreenBeam technology that is four times brighter than conventional beams. Also, it boasts the Smartline function that accelerates production by allowing setup and alignment automatic. This green beam laser has an operating range of up to 656 feet using the RC-200 remote control with a forward position and about 82 feet from above panel. This remote control gives full function line control, automatic alignment mode and line centering. Also, it includes a reliable plumb light and adjustable targets to achieve the wanted line. 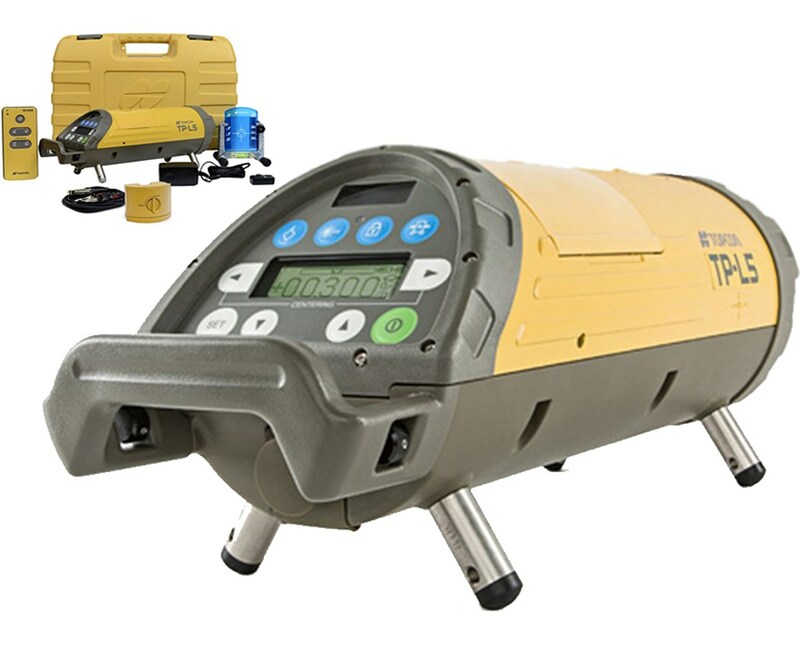 This Topcon TP-L5 Green Beam pipe laser includes an updated LCD display that has a bright, easy-to-read menu. 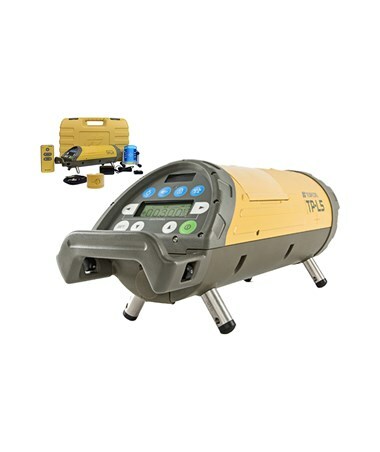 With an IPX8 rating, this pipe laser is protected from water and is submersible up to three feet. Using rechargeable NiMH batteries, it provides up to 40 hours operating time and up to 55 hours using alkaline batteries. In addition, it has a charging time per battery of up to nine hours which saves time and money. The Topcon TP-L5 Series Green Beam Pipe Lasers comes in three models with varying plumb references. Please select your preference from the drop-down menu above.